In short, advertising on LinkedIn helps businesses of any size achieve their goals. 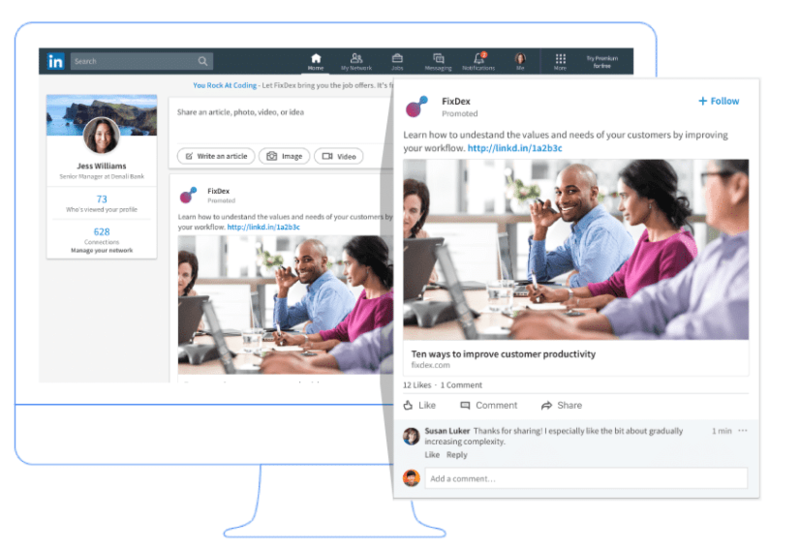 More than half a billion professionals across the world, gather on LinkedIn to stay connected and informed, advance their careers, and work smarter. Somewhere within this 560 million users are your customers and I can help you get directly to them. With LinkedIn advertising, you can target a quality audience in a professional context. Market to your service or product to influencers, decision makers, and executives who often act on new opportunities. I can run LinkedIn campaigns to match your goals or objectives. You can choose to pay per click (CPC) basis similar to Google Ads. Together we can combine the above targeting criteria to build your ideal brand’s persona: IT decision makers, C-level executives, prospective students, small business owners, and more. In Feed Ads also known as sponsored content posts are essentially pieces of content accompanied by written content which is delivered to a targetted group of professionals across desktop and mobile devices. These sponsored posts appear within user’s feeds in a native format thereby fitting in with the rest of the feed content. This can be a great advantage as there isn’t the preconception that you are intrusively pushing sales content at the user. 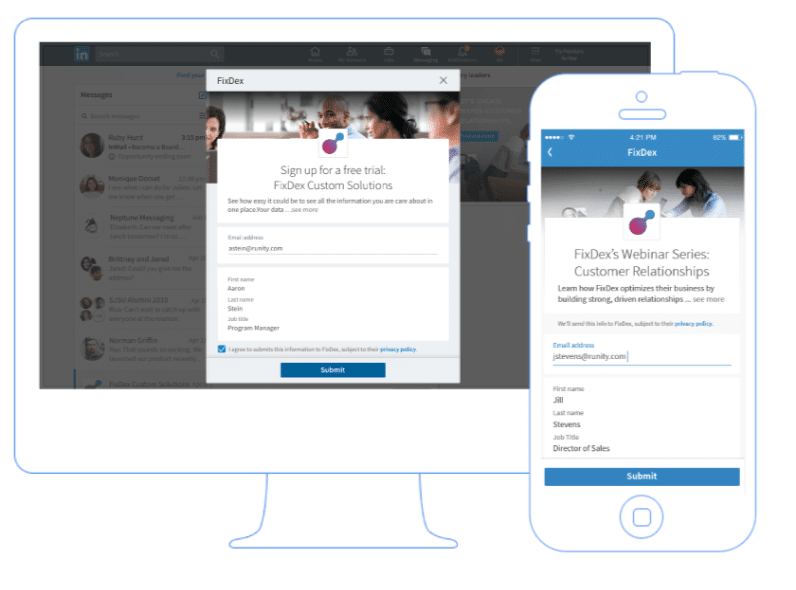 Lead Gen Forms are a great format for seamlessly capturing leads within the news feed. This feature pulls LinkedIn profile data (like contact details) into a form that members can submit with one simple click. Your sales teams can then get in touch with the user to follow up and close the sale. I collaborate closely with your team to get a true understanding of your customer & business. I then look to apply this knowledge to setup relevant LinkedIn advertising campaigns. There is also an option to have regular reports on your activity. Get in touchto find out more about my LinkedIn Advertising services. Happy to book a meeting in Liverpool, Southport or Manchester.